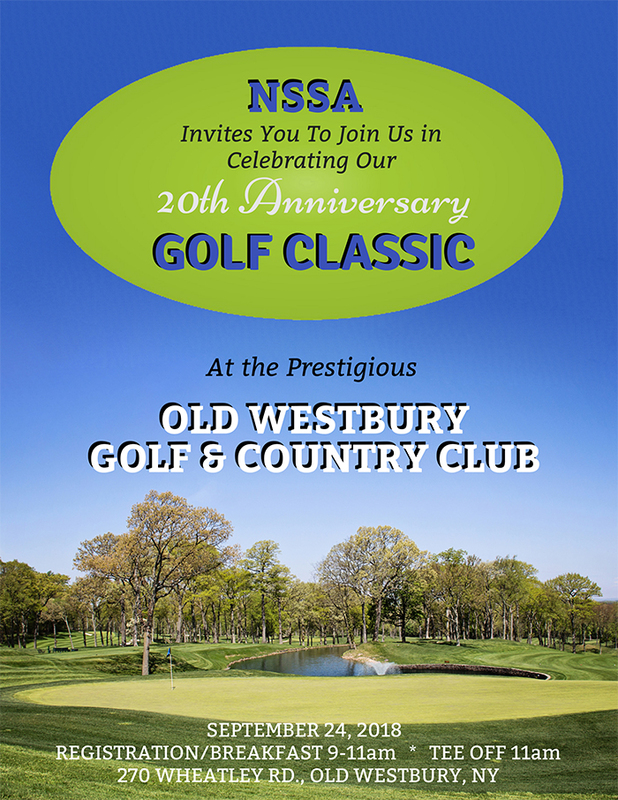 NSSA’s 20th Annual Golf Classic to be held September 24, 2018 at Old Westbury Golf & Country Club. 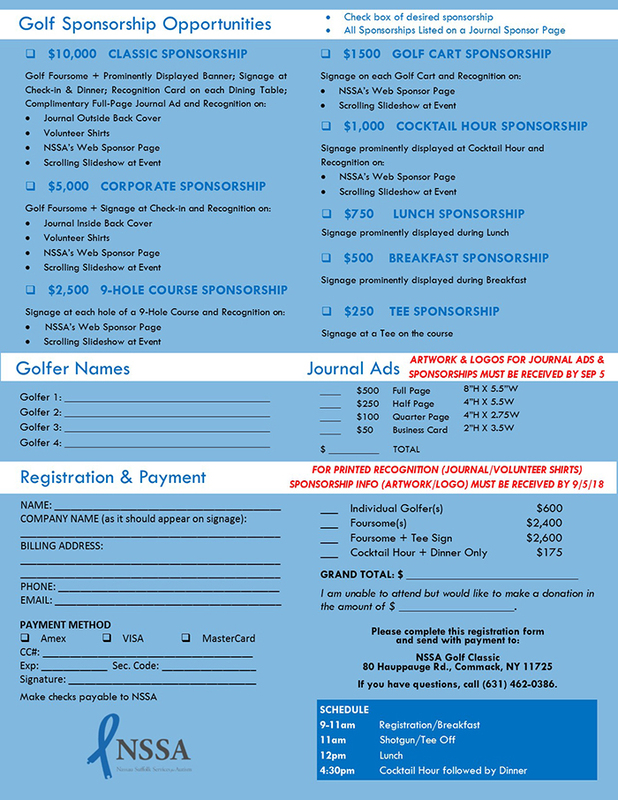 Print flyer below and mail/fax (631.462.4201) to NSSA with payment, or call (631) 462-0386 and we can take your registration and payment information over the phone. REGISTER EARLY, THIS EVENT FILLS UP FAST!! !